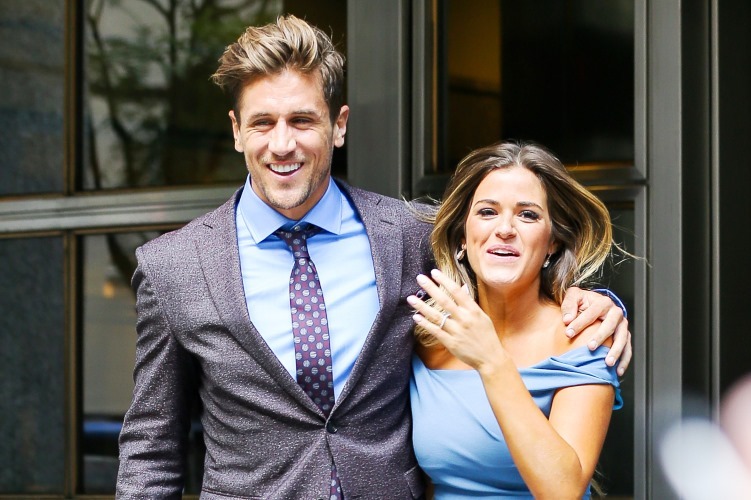 JoJo Fletcher has been on a wild journey to find love as the most recent star of ABC’s hit show The Bachelorette. Well, she has come a long way and is now engaged to be married to fiancé Jordan Rodgers. While filming the show she had to be in great shape, and any JoJo Fletcher weight loss or diet habits were likely hot topics of conversation among viewers. But did you know that Fletcher also treats herself to unhealthy foods sometimes? The 25-year-old real-estate developer and television personality dished out some of her secret diet and workout tips to US Weekly magazine. Let’s take a look. Fletcher told US Weekly that in order to stay in great shape, she hits the gym a few times a week to get cardio in. Some things she does include exercising on the StairMaster and taking spin classes. The Texas native also enjoys outdoor workouts, which includes going for a run with her dog, Jackson. 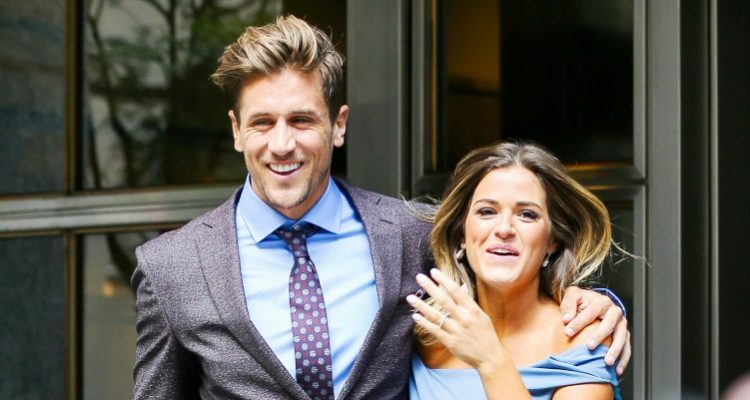 `The Bachelorette’ JoJo Fletcher and Jordan Rodgers are spotted smiling while leaving ABC studios in New York City. 08/02/2016. Photo credit: Felipe Ramales / Splash News. What is JoJo’s Current Diet Plan? Well, the reality star admits that her strategy for weight loss is balance. She tries to maintain a healthy diet but does allow herself cheat days. Fletcher “loves food too much” and some of her favorite cheat meals include Mexican food, truffle mac-and-cheese, and anything else that’s cheesy. She also admits that she cannot eat out every day, so she tries to make healthy meals at home that include grilled chicken and steamed broccoli. This is her biggest weight-loss secret: eating mostly healthy and then having an occasional cheat day. This may have created speculation about whether JoJo Fletcher followed unhealthy diet habits, but the truth is that she maintains a decent balance between healthy and indulgent foods. Being in the public eye means being subjected to a lot of pressure to live up to a certain physical standard, and the Jojo Fletcher weight loss pressure was probably rampant. Fletcher reveals that just like many others, she also struggles with maintaining a healthy diet at times. She once even empathized with a fan who tweeted her wishing that pizza was healthy. She gets that it’s tough. She describes her skills in the kitchen as “average” but says she can make a mean quesadilla. She really loves Mexican food! Fletcher starred in the 20th season of The Bachelor. She was snubbed by Ben Higgins, who went on to propose to Lauren Bushnell. Although this was disappointing, she was chosen to be the next Bachelorette in the After the Final Rose special. Although JoJo’s current weight is unknown, it seems following a balanced diet plan and a workout regimen of indoor and outdoor cardio works well for JoJo Fletcher. Now she has her prince charming, Jordan Rodgers, too! Congratulations to the newly engaged couple. http://www.ibtimes.com/bachelorette-jojo-fletcher-shares-workout-regime-diet-secrets-2381035, last accessed August 11, 2016.